NTD Nordic partners with Epoch Digital Network (EDN) to bring digital marketing to the next level. EDN provides a wealth of content on a broad range of topics including finance, culture, life, economics, health, and entertainment. As an independent media group, EDN seeks to inform and inspire its ever growing audience through its four major digital properties—English Epoch Times, Chinese Epoch Times, NTDTV and Youmaker. EDN is now the web’s largest publisher of uncensored original China news and offers editorial coverage and innovative advertising solutions that are second to none. ◉ Layer several different types of behavioral, demographical, and geo- graphical information to target unique audience segments. ◉ Re-market and re-target audiences within the Mandarin language across display and digital video pre-roll wherever they go on the web. 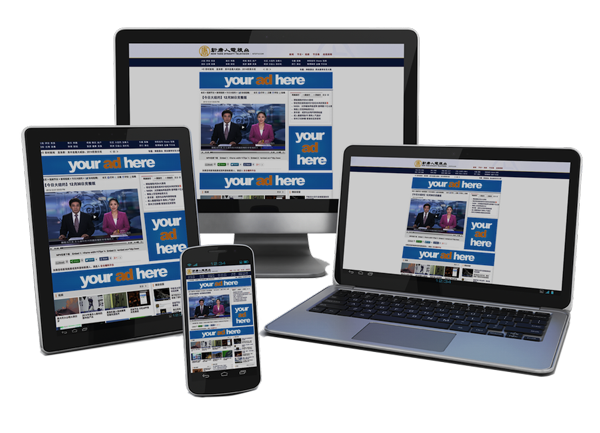 EDN’s websites generate 200 million page views and 1 billion ad impressions every month. The Chinese Ethnic community around the world is also economically rich, well educated and key purchasers in a multitude of consumer categories. This is one of our most coveted audiences, which we reaches on a daily basis. We are entering millions of homes every day. We deliver world class coverage and offer brands the opportunity to associate themselves with core brand values of integrity, reliability, trust and quality.